←Waterlogged – A Dogma-Shattering Book? The Hardrock 100 has always labeled itself as a graduate level 100 miler. In the event’s early years that meant entrants needed to carry course maps and turn sheets with them or become hopelessly loss. Over the years, the course has become increasing more well marked; however, it’s still routine for multiple-time finishers and even multiple-time Hardrock champions to become lost along the way. In the following Evan Honeyfield film, find out from Hardrock veterans what the event’s course marking and route finding are really like. Diana Finkel: I tend to get lost a lot, like all the time. 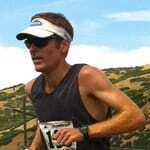 Karl Meltzer: We figured, like most people do, we’d go mark the course with the people starting two weeks before the race and get to learn the course a little bit, that kind of thing. Roch Horton: Then I volunteered to go out, they have this course marking sort of organized, and you can volunteer to go out with Charlie Thorn weeks before the race. It’s just this big conga line following Charlie as he pokes the markers in. Jamil Coury: So I think some people that help with the course markers will help put them in, and then Charlie will come along and look at the markers and sort of look around, and then he’ll pull it back out because he only likes a certain number out there. Betsy Kalmeyer: Well, I think one of the things I remember about the first few years that’s a little bit different now, is the course marking. I think there were a lot less course markings the first year. The whole idea behind Hardrock is that it’s a graduate level 100 — that you had to have done a 100 miler before, and that you should be able to find your way even from the course description or from the maps. But in any other 100, I’ve never carried a map, I’ve never carried a course description, I’ve always relied on course markings. But after you get out there and you see that you’re just sort of supposed to bushwhack off a trail and just go up a hillside, and you don’t have any course markings and you’re just like, “uhhhhh…” So you definitely had to carry the map the first couple of years. I think more and more we’ve had more course markings put out there because more and more people help with the course markings and realize that it’s really tough to find your way if you don’t have course markings. So people that go out and do the course markings always have about 10-20 extra ones and they’re putting one or two more between where Charlie puts his. Maybe Charlie doesn’t know that yet, but I think people do put a little extra markings out there. Meltzer: You know, Charlie is the one that actually does the marking. He’s the one that actually puts the flag in the ground. We just kind of carry… we’re the mule for him. And that’s ok, but it’s a long day out there. Coury: The road sections, they won’t even mark them at all. I think going up from, the year I ran it, going up from Ouray to Governor Basin, there wasn’t a single marker. And there are dirt roads going off in all directions. They just expect you to know it. Heaphy: Putnam Basin is kind of notorious for some folks… when the weather rolls in, if you’re not familiar with the trail, it’s pretty easy to maybe get disoriented there. Lori Bantekas: They were hitting the markers, the Hardrock metal markers, and they would twist them when the lightning hit it. They would twist them, so they would look like tootsie rolls. Meltzer: That’s kind of a bad memory. We got lost out there. You know a number of times you make wrong turns, but that’s not because of the course markings, it’s because you get delirious at 12,000 feet. You just don’t think. In the dark, you look over here and you look over there and the pass in, “Oh yeah, that’s what it looked like yesterday during the daytime.” But then you go there at night and you don’t know what you’re seeing. People make all kinds of mistakes, make wrong turns. Finkel: So it’s nice to have a pacer, because I know when Ben is there, we probably won’t get lost, which is nice. So then I can pay even less attention. Heaphy: One year, that same year, when I was running with Margaret, actually, the year after that, it was very difficult to see the course. So we would have to leapfrog from marker to marker. There were a whole bunch of us on that ridge coming in from Putnam Basin and then you finish in that direction. You could barely see the markers even though they’re relatively close because of the fog. Heaphy: You know how it is, it’s like soup. It’s like, “Whoa, where’s the marker.” “I see it up here.” Then you’d kind of leapfrog. Dakota Jones: I’ve spent a lot of time on the course. I ran the course last year, obviously, during the race, but in training, I’ve run every section of the course pretty much multiple times. In the next few weeks before this year’s race, I’ll run it at least one more time fully through. And so I like to think I can pretty much run the whole course without course markers, and that gives me a major advantage. People go off course here all the time because it’s marked pretty sparsely. Sometimes it’s just hard to differentiate the trees and the bushes from the markers. It’s just the way it is. So being able to follow the course without the markers takes a huge weight off your shoulders. There’s just much less of a chance of going off course. Of course, if you say you’re not going to go off course because you know it, you’re definitely going to get lost. These hardrock videos are great! Can't wait for the rest of them. It is the first thing I look to do after my runs each morning. Thanks! I got lost on a course I train on everyday….after 10 hours in the heat I convinced myself that the course took a certain loop…which it didn't…I even told myself that as I lived here everyone else was obviously wrong….doh! These are awesome videos! Thanks for making and sharing them! LOL. I have trouble following "normal" course markings. I would be so screwed on the Hardrock course. The year I ran (2010) course marking in the days leading up to the race was one of my favourite experiences..
Great stuff guys, keep 'em coming. I am really enjoying this series! Thanks for putting it up! For some reason I just can't get enough of these… just great!